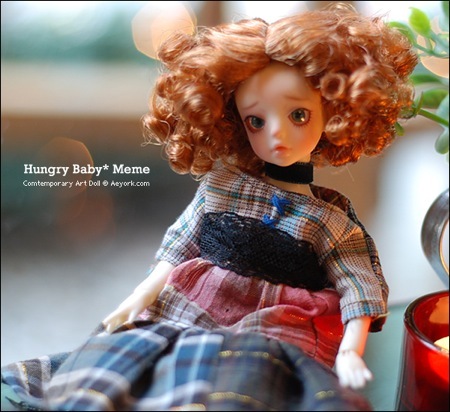 A new Korean doll company has opened called Aeyork. The company has dolls under two categories. All are cast in “crystal skin rose white” resin. 63.5 cm tall Just Venus (AKA Bomb) Limited Edition is an art piece which, according to the site, has been displayed in exhibitions. The doll has a stylized body, no arms, and a small molded tail. 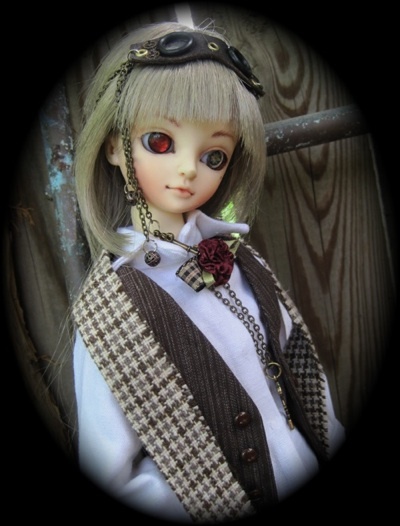 She can be purchased as a basic doll blank with a pair of crystal violet eyes. For an extra fee, Just Venus can be ordered with face-up, body painting, and outfit. 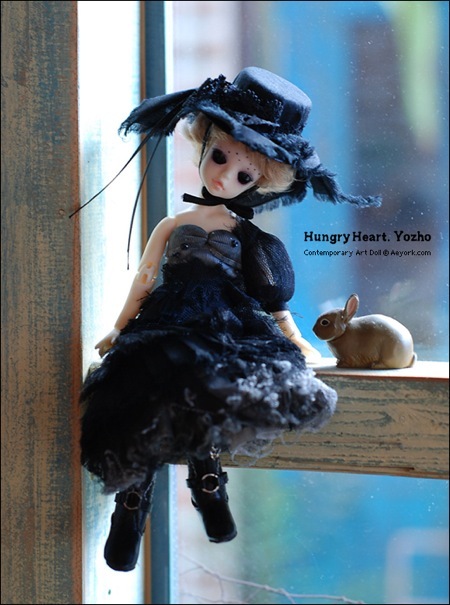 The category Hungry Heart contains 4 dolls; Meme, Yozho, Bluret, and Mooah. These dolls are 18 cm tall and are sold as full-sets with the outfits, wigs, eyes, shoes, and face-ups shown. Pipos has posted photos of the two new limited edition cats. They are calling the series A Midsummer Night’s Dream. 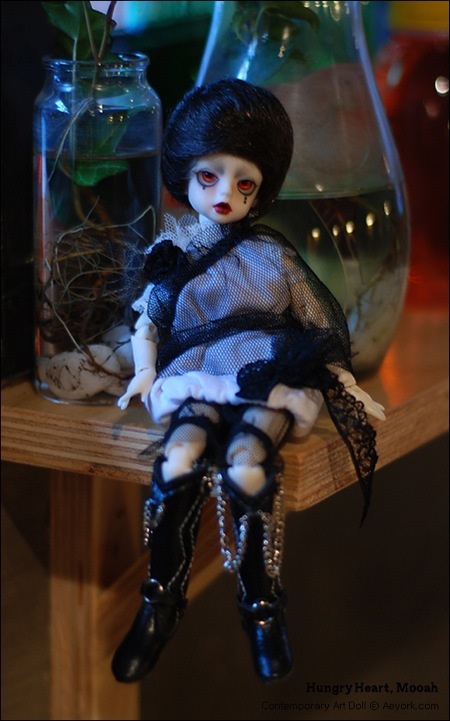 Dolls will be released soon in both Limited Edition and basic form. 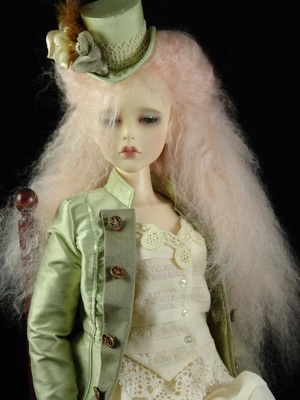 The work of Meredith Theodore, a doll costume designer from Australia can be seen HERE. The Just Shining photo album can be seen HERE. New video tutorial on blushing boy dolls, including tips on how to avoid over blushing the chest muscles. Tutorial can be seen HERE.